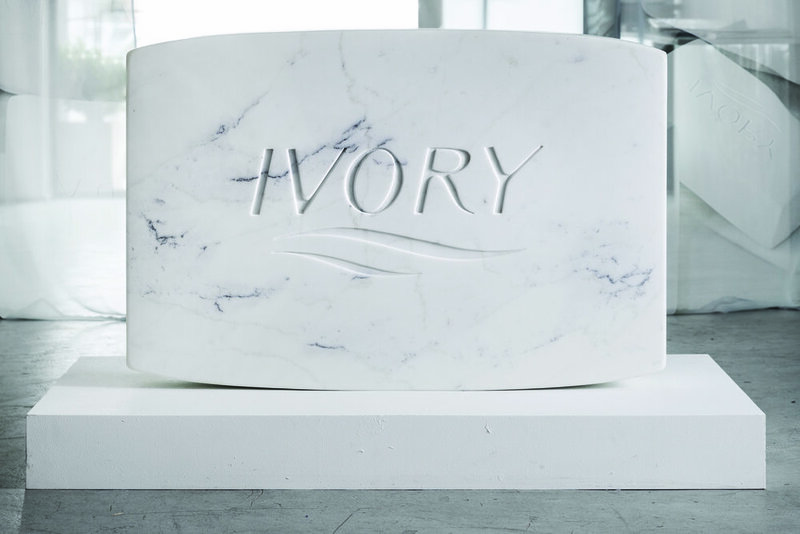 Stately Carrara marble sculptures, carved in the likeness of Ivory Soap bars, are the foundational pieces behind PURE. 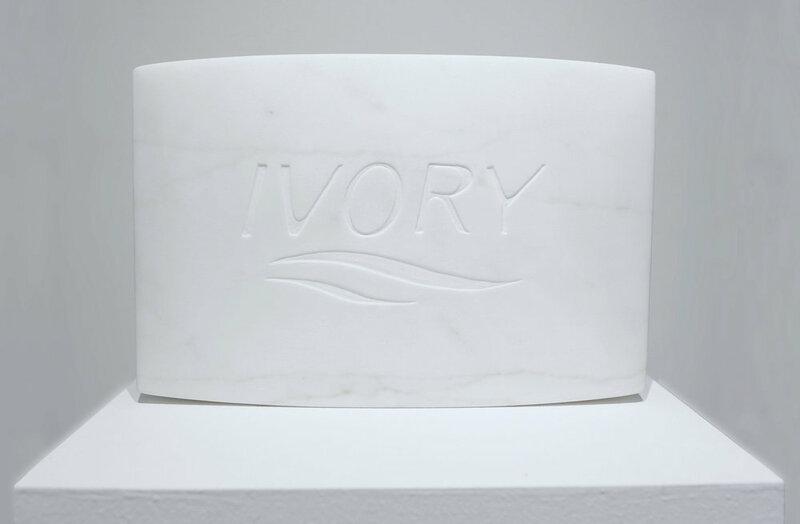 The specter of an impossible femininity looms behind the appeal of Ivory Soap, a brand that advertised the product’s powder-white sheen as evidence of its elemental purity. In the digital age, the ideal of purity can be read via social media culture, through which users - particularly women - are compelled to present curated personalities and lifestyles to their peers. These infinitely divergent perspectives between digital presentation and authentic self often give rise to mutual alienation rather than a heightened sense of community.